Avoid these 7 Streaming Sins! Live streaming is an amazing technology. It wasn’t long ago when hosting anything more than a live audio call online was a supreme challenge. Today you can live stream your life to the world in stunning high definition video while walking down the street with your cell phone! Seems like everyone is live streaming now. Just because everybody can do it doesn’t mean that they do it right! Live streaming doesn’t have to be hard, but you do need to pay attention to a few important details. Simply avoiding The 7 Streaming Sins will make your next live streaming event better than 90% of the other content on the Internet right now. The last thing you need is to start your live stream and then have people chime in and tell you that the audio or video is cutting in and out. It is crucial that you test your internet speed before the broadcast. If you’re going live from a place you haven’t streamed from before, then you should test your speed well in advance of the event so that you can plan for any backup internet connections if needed. Go to www.SpeedTest.net and test your internet speed right now. 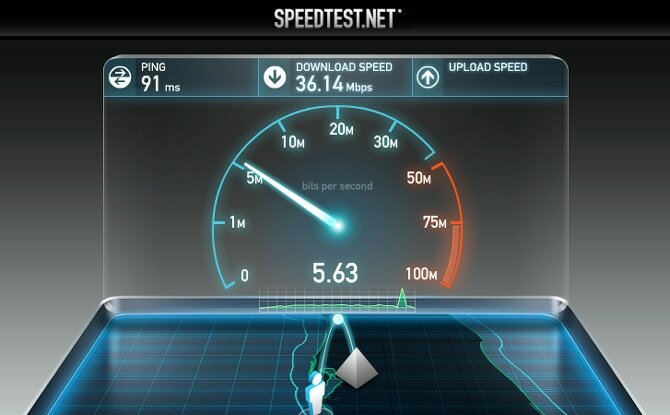 You want to pay special attention to your “upload” speed. This will tell you how fast you can send content to the world wide web (which is exactly what you’re doing when you broadcast a live stream). Any speed above 1Mbps should work for a basic live stream. If you want to broadcast in 720p or 1080p HD, then you’ll need anywhere from 2-5Mbps depending on your device settings and technical requirements. Audio is the most important component of your live stream. If your video cuts in and out, I might stick around and at least listen. But if your audio is bad, I’m checkin’ out! Make sure your sound quality is good and that your online audio feed is consistent. Spend some time to do a sound check before you go live. 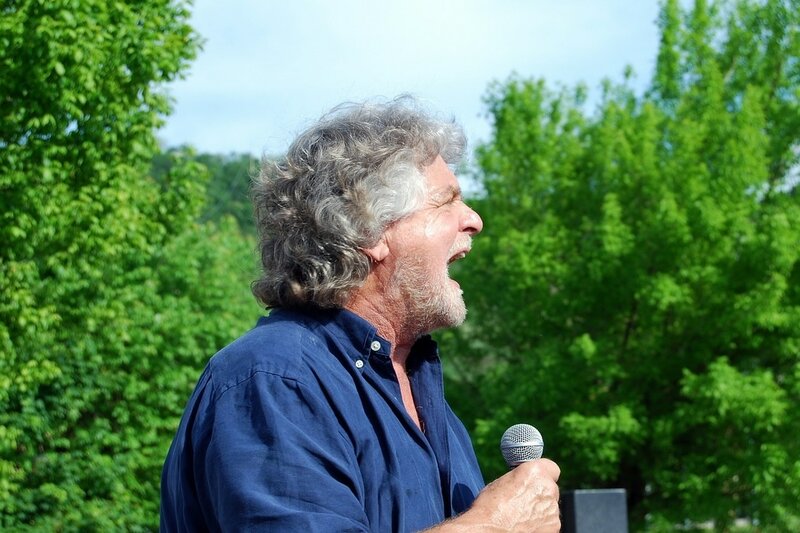 Doing this one thing will really boost the quality of your live event. Use a separate microphone with your live streaming device. This goes for desktop/laptop broadcasting as well as mobile device streaming. Be sure to check out my top gear picks when live streaming. 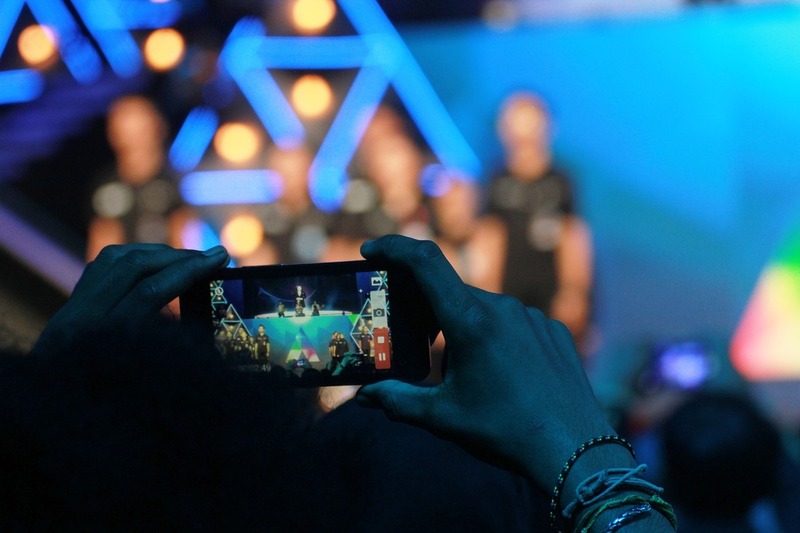 The whole point of a live stream is to let your online audience see what’s going on. Make sure the camera is in a good spot. Are you giving a presentation or hosting an event from the stage? Make sure your online audience has a “front row” seat. It really helps if you have a tripod for your camera so you can position the camera (or multiple cameras) in a good spot. Using the built-in camera on your laptop can work for a casual Skype session, but it probably isn’t ideal for broadcasting a more formal event. Most USB webcams can easily attach to camera tripods. This is a great way to create a better viewing angle for your audience. And when it comes to mobile devices, you can find some pretty sweet phone and tablet tripod mounts and adapters so that your mobile camera is steady for the entire broadcast. Nothing will kill the vibe of your live stream like bad lighting. It is important to be able to recognize who is talking, speaking, or performing. The worst lighting sin is harsh backlighting (behind the subject). At the very least, you’ll want to have good lighting in front of the subject. A little bit of backlighting is fine as long as it does not create shadows in front of your main subject. 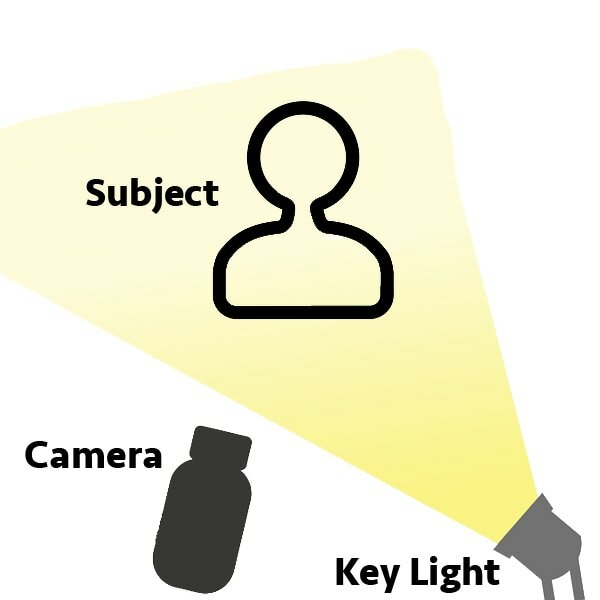 Now, you don’t need to get complicated about this, but do take the time to ensure that the subject of your live stream is well lit. Your audience is tuning in to see something live. Make sure they can see it! There are a lot of streaming services out there. You may have already tried a few. Different service providers will specialize in providing tools and utilities to reach a certain audience. Or they may have specific rules on what you can or cannot broadcast. And then make sure that the service is appropriate for your audience when they show up to watch your live event. Hosting a live stream on Facebook or Periscope for your business clients might not be professional. If you’re a performing artist, doing a stream on GoToMeeting might be confusing for your fans. Want maximum control of your live stream? You may want to add a live streaming video viewer and private chat feed to your website. There are lots of great options available to help you broadcast a live stream. Just make sure you take some time to select the service that works best for you and your audience. Once you start your live stream, you should be attentive and engaged with your online audience. This sounds simple enough, but you’d be surprised at how many people screw this up. Look into the camera. Talk to your audience as if they were there with you – because they are! They are right on the other side of the camera. Use the live chat feature of your streaming service (if available) to take questions. Live streaming is a great way for your audience to get to know you and develop a deeper connection. If you’re uncomfortable being on camera, break the ice by doing a test event with a small group of friends. And be prepared before your live streaming event. That will help you be fully present and engaged with your live audience. And now we get to one of the sins almost everyone commits during their live streaming events! You’ve got the attention of your audience. And you are live. What should the viewer do next? Make sure you encourage your audience to participate in whatever else you have going on. Maybe that’s signing up for your email list. Or buying your next book/album/artwork/etc. Or attending your next live event. Whatever it is you do, make sure you have a call to action during your event that encourages the audience to connect with you somewhere else or buy more of what you have to offer. Don’t miss this opportunity to help your audience help you! 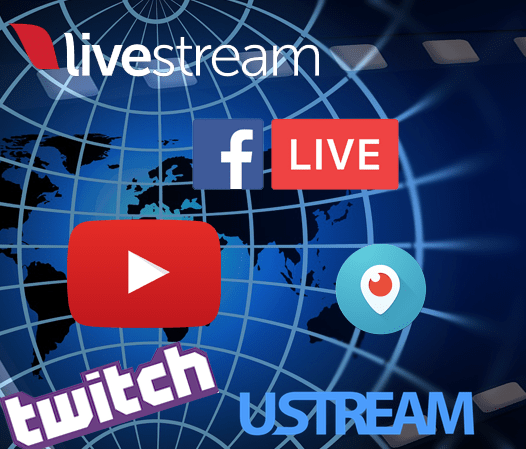 This is just a quick guide for the most important things you need to consider when live streaming – regardless of where you live stream or what service you use. 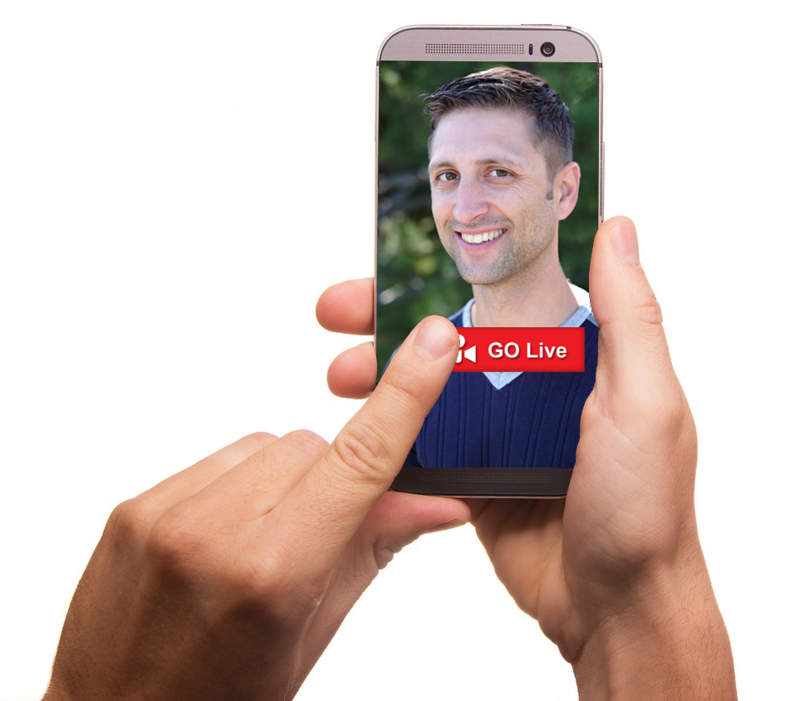 Are you ready to take your live streaming to the next level? Want to learn how to incorporate live streaming technology in your business? Need more clarity and a strategy for monetizing your creative business?